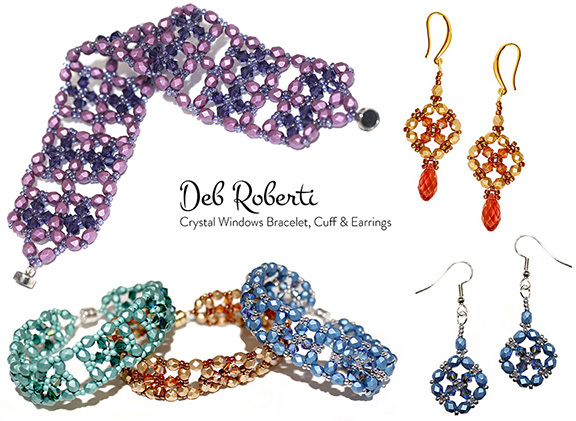 A very simple and easy crystal erring pattern that matches my Crystal Windows Bracelet, Crystal Windows Cuff and Crystal Windows Necklace. Step 1: Thread your needle with about a yard of FireLine or One-G. 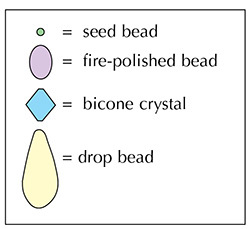 String a fire-polished bead, a seed bead, a bicone crystal, a seed bead, a bicone crystal, a seed bead, a fire-polished bead and a seed bead. Step 3: String a seed bead, a fire-polished bead, a seed bead, a fire-polished bead, a seed bead, a bicone crystal and a seed bead. Step 5: String a seed bead, a bicone crystal, a seed bead, a fire-polished bead, a seed bead, a fire-polished bead and a seed bead. Step 13: String two seed beads. Step 14: String two seed beads. Step 15: String two seed beads. Step 16: String two seed beads. Step 17: String two seed beads, a drop bead and a two more seed beads. NOTE: Depending on the amount of space between the drill hole and the top of the drop bead, you may have to adjust the number of seed beads. 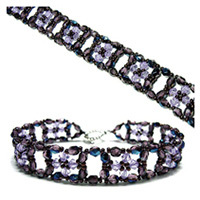 Step 20: To add the jump ring, string a seed bead, a fire-polished bead and three seed beads. 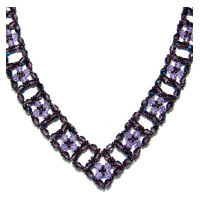 Step 21: String a seed bead. 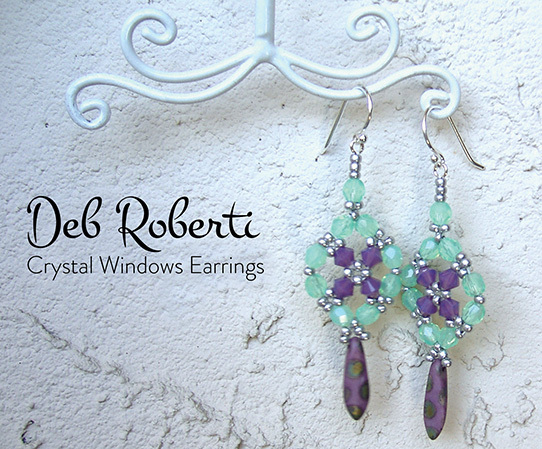 Weave back into the earring, knot and cut your thread. Attach your earring to your finding. 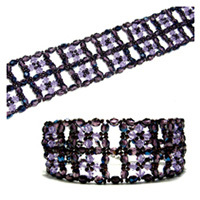 For more color combinations, click on the photo below to visit the RedPandaBeads.com Gallery of Color Suggestions!